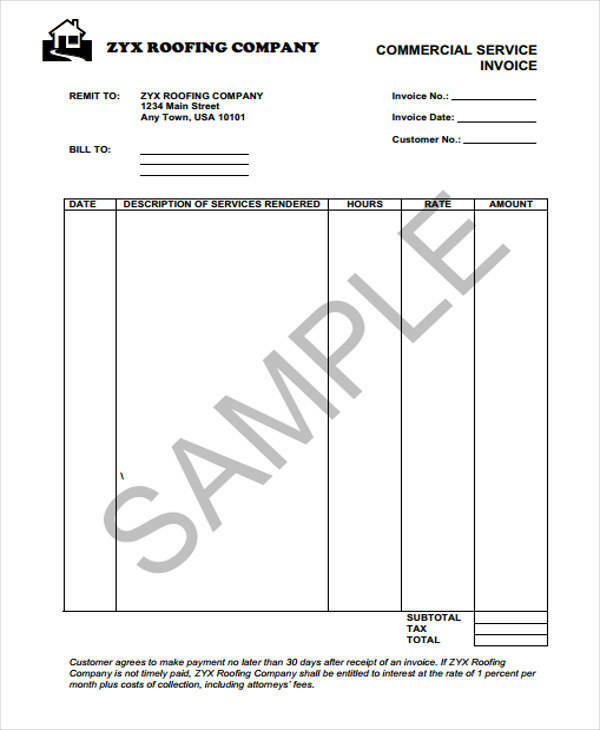 A roof invoice is important for businesses involved in repairing roofs or installing roofs on buildings, houses, and apartment complexes. Whether you are an owner of a roofing business or an independent contractor, you need to observe proper procedures in dealing with your customers. One of the most important aspects of handling a business is to make sure that you are able to make a proper request for payment to your clients through a roofing invoice. Requesting your clients for payment through mere verbal communication is ill-advised as it is not only informal but also unprofessional. 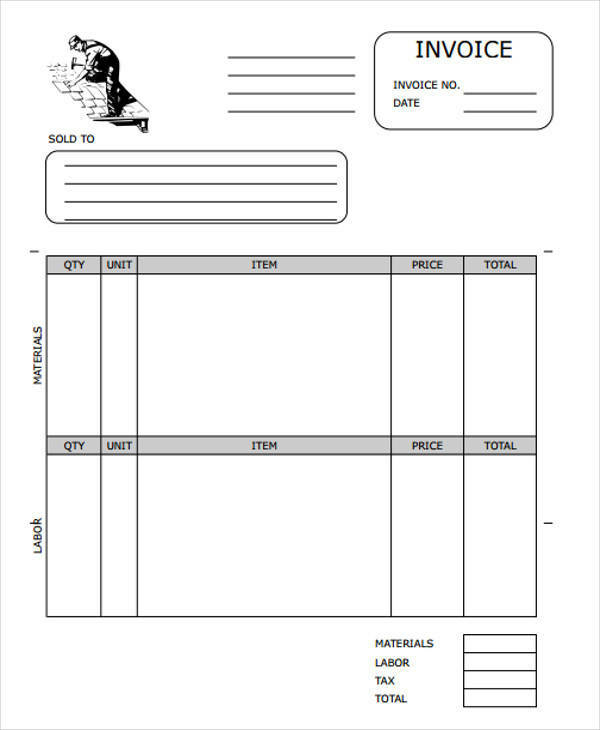 To know more about creating a roofing invoice for you business, you may refer to our collection of free invoice templates on this page. Scroll down below and download our templates now! What Is the Importance of Roofing Invoices? In the future, whenever your client would resist your formal request for a payment, then you may take the matter to court. 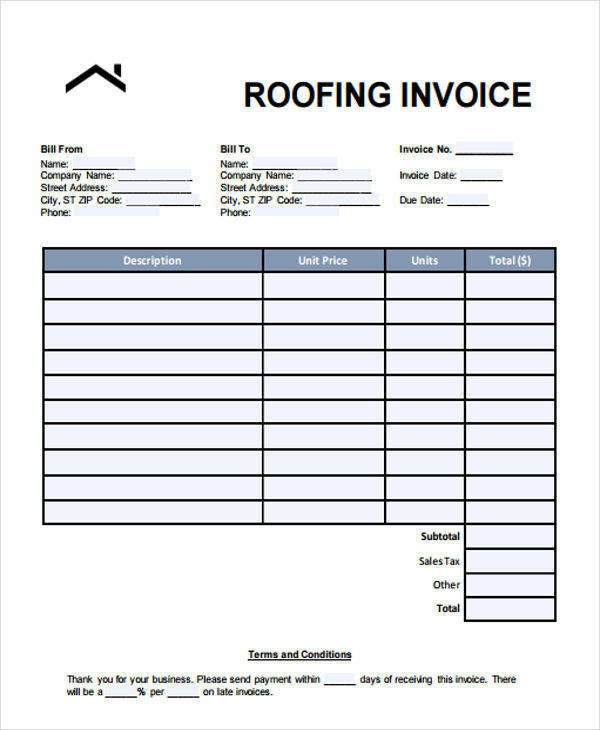 A roofing invoice is the perfect evidence for the service that you have done for your client. 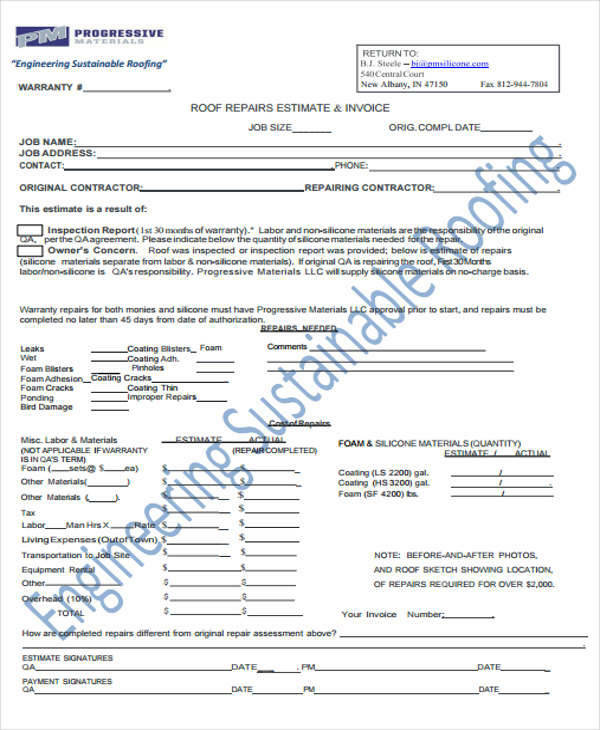 Due to the specificity and the completeness of an invoice’s content with regard to the date when the roofing service has been completed as well as the amount of money to be paid per service, it would be easier for courts to determine how much your client needs to pay you for the roofing service on top of the litigation fees that he/she must also pay. Your copies of the roofing invoices that you have issued would serve as a good source of information for your analysis of your business as well as the current trends of your customer’s preferences when it comes to the type of roofing services they usually hire you to perform. 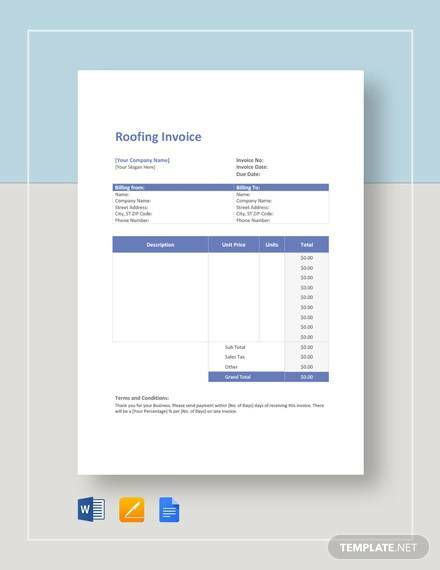 Speaking of roofing invoices, we also have a collection of contractor invoice templates that would be useful if you are in the business of providing contractual services to your clients. 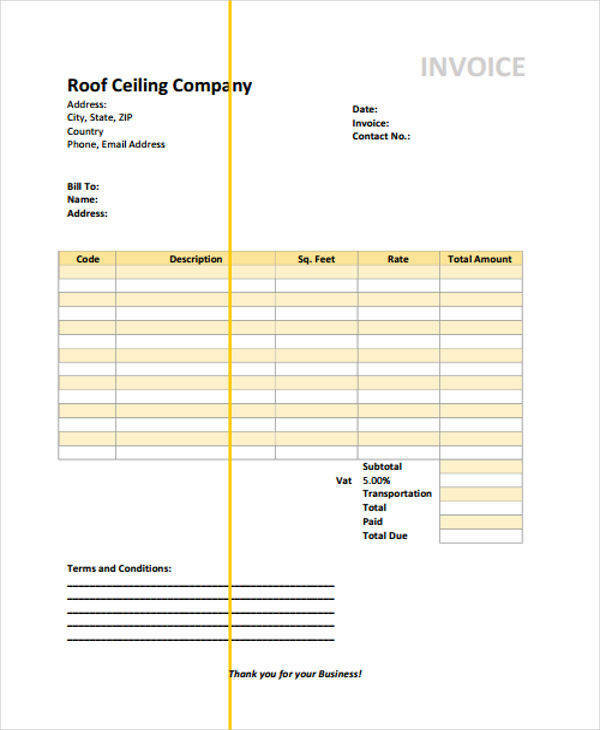 How to Create a Roofing Invoice? What are the different types of roofing services you are offering to your clients? On top of the roofing services, are you also the ones to provide the roofing materials? Once you have answered those questions, you may proceed with creating an invoice. Start by creating the proper layout. You may do this by referring to templates of sales invoice and roofing invoices. Then, place your company’s letterhead at the topmost part. Provide fields or areas for your customer’s information. Make an itemized list for the services availed as well as its corresponding prices. Then add the taxable items and other fees in order to be able to provide the total amount that your customer must pay. Lastly, create a space for your client’s signature.